There is a complete simulation of a wedding day: Getting ready, ceremony, couple shooting, speeches and first dance with the explanation of what he uses and how he acts with the couple. A long part where he shows some of his films and he goes inside the timeline to explain step by step what he was thinking while editing the film. Organization of the files and the start of the edit with the footage that we shot in the simulation of the wedding. There you can understand the process how to build a film with a deep emotional impact. Colour grading part with explanation of the plugins and software that can help. An extra video with the description of all the progams that he uses at the moment. 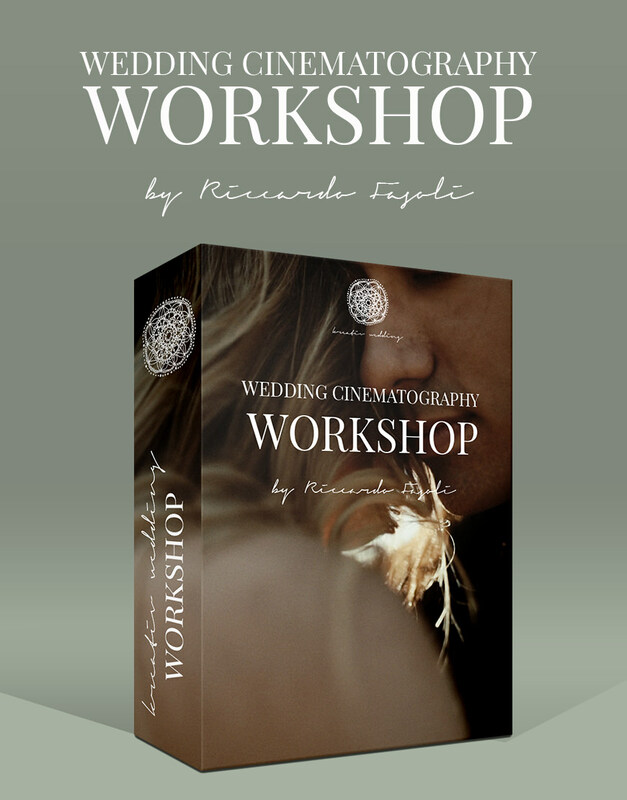 9 hours of footage that will help you to take a step forward in your wedding videography skills. The product includes 17 Videos for online streaming. You will get a Login and you can see them online. After your payment you will get the Login via Mail. The Workshop will be in english.